If only airports had chairs like this, a whole lot of stranded travelers would sleep a lot easier. 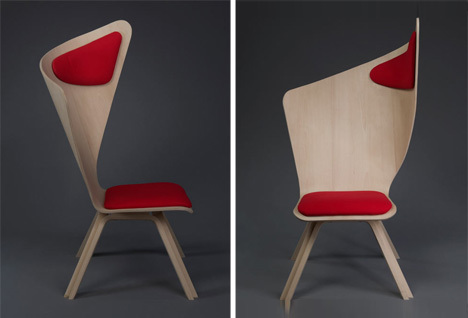 This simple design stretches the back of a conventional chair shape so that it curves around the user’s head, offering a padded place to rest. 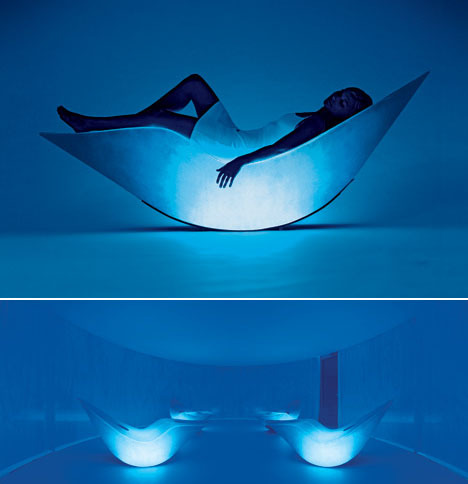 This curving lounger isn’t just an ergonomic place to sneak in a bit of sleep – it incorporates an entire ‘relaxation experience’ with multi-sensory extras like color, lighting, sound, warmth and vibration. There’s nothing cozier in the winter than a comfortable chair and a warm blanket. 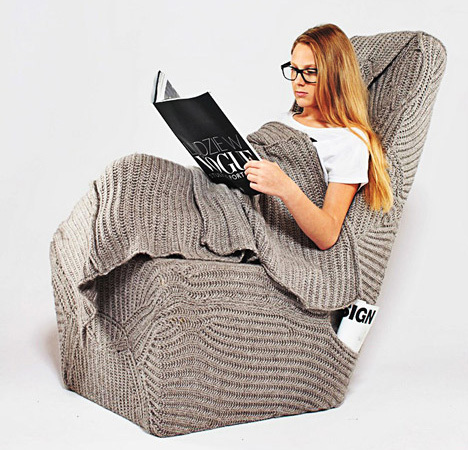 This design from Aga Brzostek combines them with a sweater-like knitted cover that fits over a foam-based chair, wrapping around the user and even offering pockets for magazines and books. Many a sleepy office worker has eyed the space under their desks, wondering if they could get away with a sneaky nap without anyone noticing. 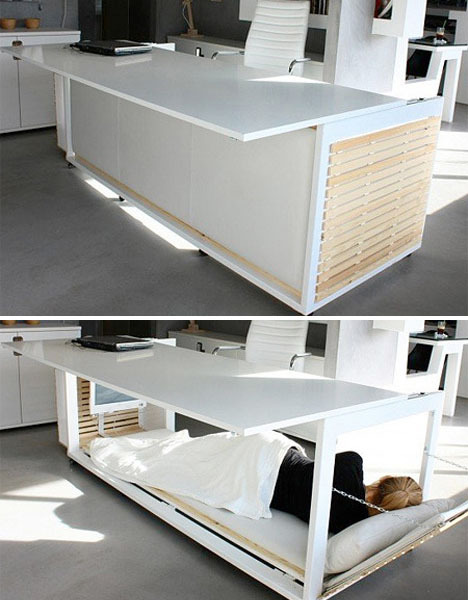 If you had this transforming desk by Studio NL, that would be a lot easier – and more comfortable. The desk has a hidden bed with a foam pad and even a small television mounted on one side.